The council supports children and young people in a variety of ways including helping them to have their say and improving availability of information and advice. 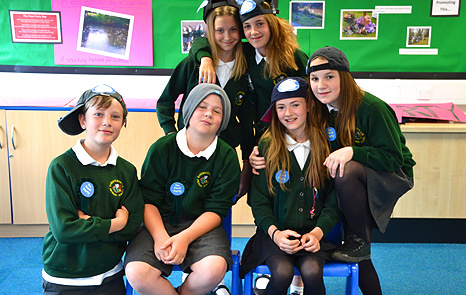 Chichester District Council's youth engagement officers work in schools to deliver the "Ideas Into Action" programme. This programme enables pupils to learn more about their neighbourhood, the importance of having a voice, and how they can be influential to bring about change by having an active role in their community. On our youtube page you can see the young people from The Academy Selsey putting their ideas into action Ideas into Action . The Five Ways to Wellbeing asks children to focus on five positive actions they can incorporate into their daily lives, as individuals and also as part of their community. Connect - strengthen existing relationships whilst remembering to be safe online. It encourages young people to spend time with their friends and family and make time for having a chat. Take notice - asks children to take time to stop, become aware of their surroundings and listen to their thoughts and feelings about them. Be active - is for people of all ages you just need to raise your heart beat and have fun! Keep learning - learning can also be taken out of the classroom, skills and ideas can be learnt everywhere. Give - any acts of kindness, whether small or large can make you feel happier and more satisfied with life. These workshops have been offered to schools in rural areas for year 5 pupils to learn about skills to self-manage emotions and activities to help them remain healthy both physically and mentally. 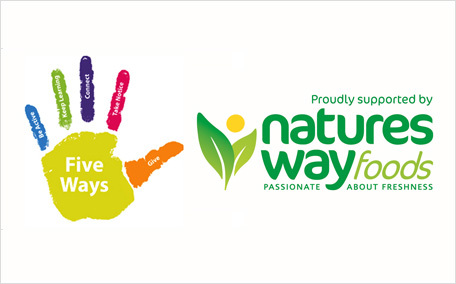 This year Natures Way are sponsoring the workshops, Hannah Lambourne, Brand and Corporate Communications Manager says: "Natures Way Foods have a thriving Community Programme and are proud to support local organisations that focus on Education, Sport and Healthy Living. We feel that the Five Ways to Wellbeing scheme is a great link to our brand and strategy and more importantly will provide excellent support to pupils in school. We are delighted to partner with Chichester District Council's Five Ways to Wellbeing scheme and are pleased to support this proactive approach to wellbeing for children." Sidlesham Primary School 'Their excitement and enthusiasm was evident all day. They were engaged with all the activities'. Kingsham Primary School 'Children who do not normally respond to this style of learning were engaged'. Tangmere Primary Academy 'All the children were very active throughout the day and sessions. They particularly enjoyed the healthy picnic. They enjoyed the activity based around eye contact, which they found fun'. Your space is run by West Sussex County Council and is mainly aimed at young people aged 11 - 25 living in West Sussex. This website has information on all the things that are important to you in your life right now. As well as events and competitions there is also tons of stuff you can vote on, information on where to find help and advice, and details on what the Youth Cabinet have been up to. Based at the New Park Centre on New Park Road, Chichester. The Information Shop , based in the Boys Club, Little London offers a free and confidential information and support service for 13 to 25 year olds. This is open weekday afternoons and offers emotional support in a safe and confidential environment on any issues that concern young people. The counselling service they offer is person-centred and is tailored to each client. Chichester District Council has a comprehensive listing of sport and leisure clubs and societies in your area. The clubs are listed alphabetically by the name of the sport or activity, in our Sports club directory.